SilverGlo™ is designed with high-efficiency graphite-impregnated insulation with a built-in radiant heat barrier surface. 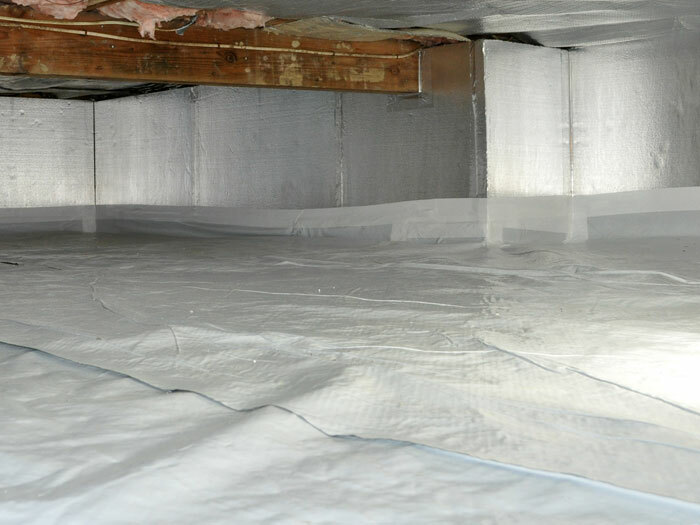 When installed on your crawl space walls, it provides an unbroken sheet of R-11 insulation for your home. 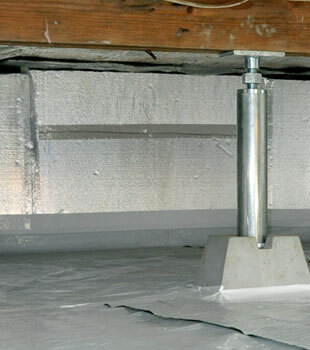 When installed, SilverGlo™ also provides a vapor barrier on your crawl space walls, holding back the moisture and humidity. 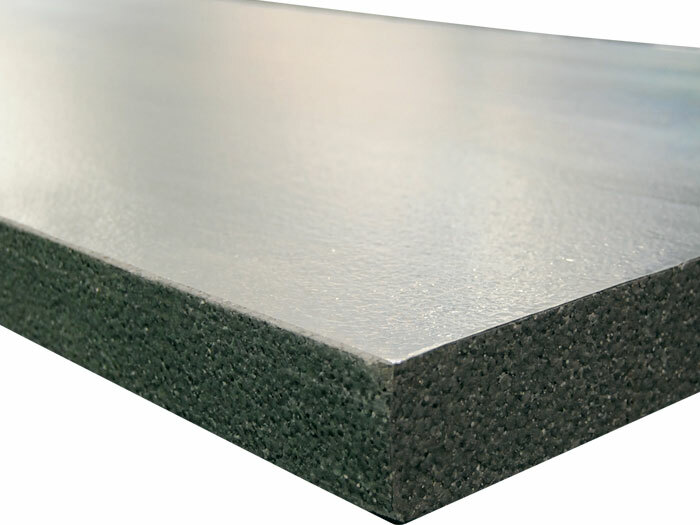 The closed-cell design of SilverGlo™'s rigid foam panels is made with completely inorganic materials, and will not absorb moisture or support the growth of mold, rot, or mildew. SilverGlo™ provides a versatile installation, and can be customized for special projects or to meet local code requirements. Our five different basement drainage systems provide a solution for any basement flooding issue -- no matter what that may be! To schedule a free, no-obligation basement drainage system quote, contact us by phone or e-mail today! Our Certified Waterproofers serve homeowners throughout Canada, the United States, and the United Kingdom -- including your local neighborhood! 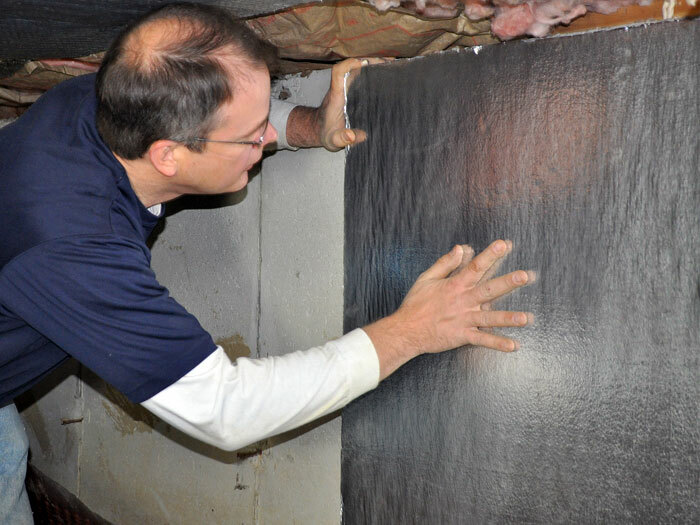 SilverGlo™ Wall Insulation is just one of our the pieces that make up our complete vapor barrier system. 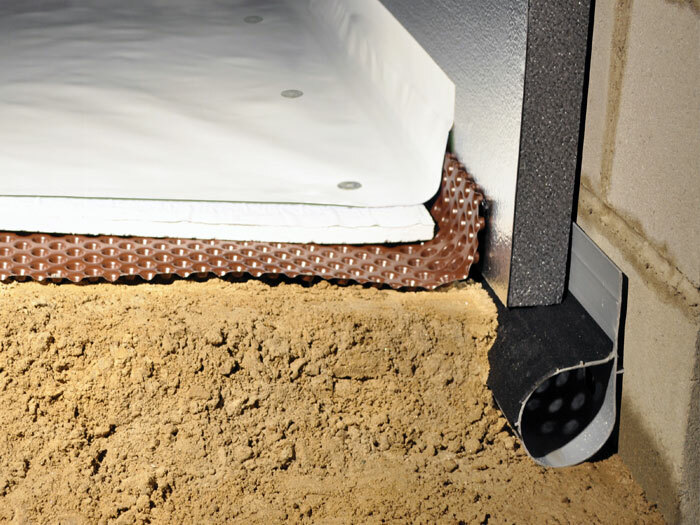 Combined, our crawl space products will seal your crawl space, drain away floodwaters, and insulate the space for added home energy efficiency. 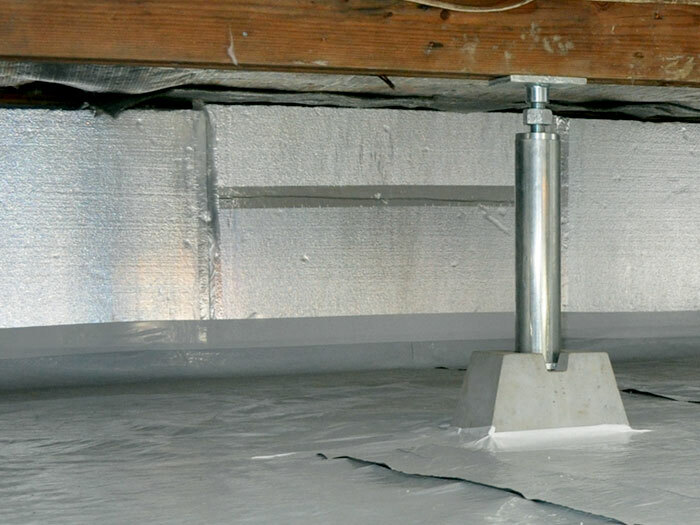 Many homeowners will attempt to insulate their crawl space by installing fiberglass insulation on the floor joists (aka the crawl space ceiling). Rodents love to nest in this warm, soft material! However, fiberglass on the ceiling will not seal away humidity, and eventually the spongelike insulation will become soaked with moisture. This will weigh the fiberglass down, causing it to "drip" off the ceiling. Fiberglass batts also contain organic materials such as resins, dyes, and their paper backing. All of these things can support the growth of mold and rot, and can trap moisture around your floor joists to encourage further rot. 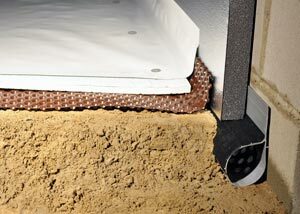 Generally, a crawl space will also hold utilities such as water heaters, furnaces, hot water pipes, and heating ducts. Insulating the entire crawl space will keep these warm, which means they work harder and you save money on your utility bills. Our experts can seal and insulate your crawl space quickly -- with most jobs totaling one, sometimes two days for all work to be completed. Our dealers maintain trained, certified professionals who prove warranted systems for your home to transform your crawl space into dry, energy efficient, usable space. Contact us today to schedule free crawl space sealing and insulation quote! Your local dealer with meet with you to inspect and measure the space, walk you through the options for our warranted systems, and answer any questions you may have. 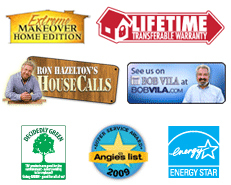 We'll design a customized system for your home, and provide you with a written quote. Before our visit, we'll also mail ahead a complimentary copy of our crawl space waterproofing book! This full-color guide is filled with everything you need to know about crawl spaces, as well as details about our products and services. Our local dealers proudly serve throughout Canada, the United States, and the United Kingdom. We have a locally owned and operated authorized Basement Systems Dealer in your neighborhood!